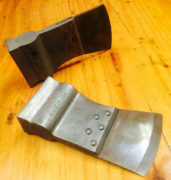 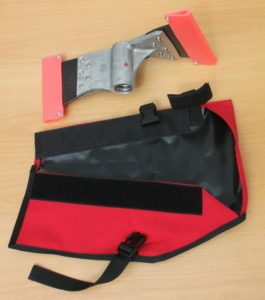 Transport pouch for Magnum Pulaski with blade guard. 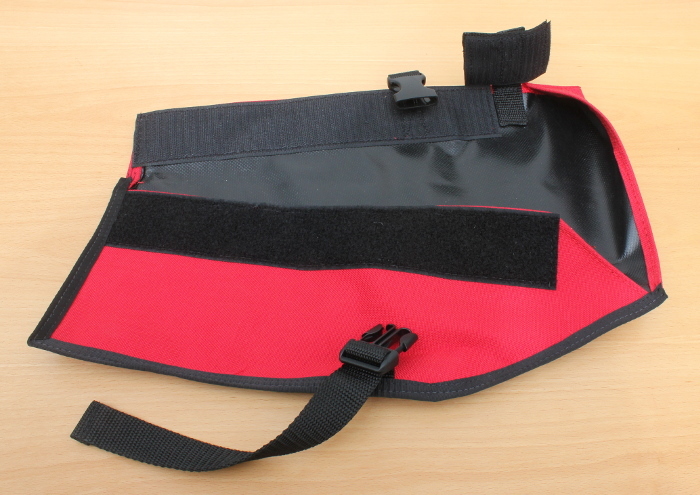 Can be easily sewn onto firefighter’s pack. 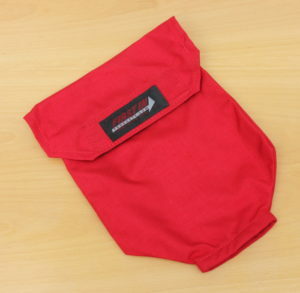 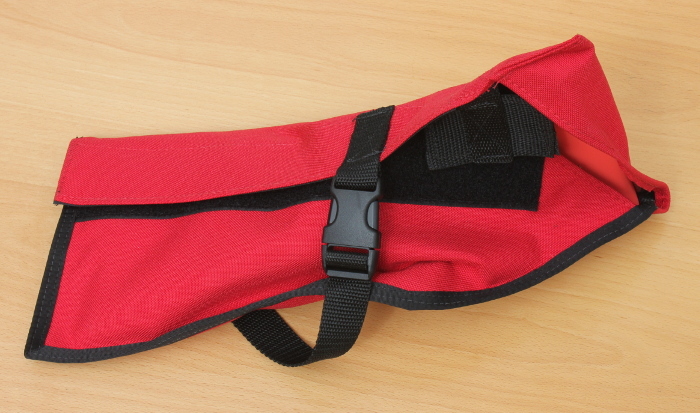 This pouch accepts a Magnum Pulaski head with the blade guards on the sharp-edged blades. 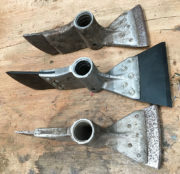 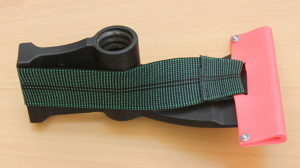 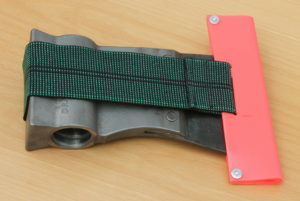 This Safety Pouch can be sewn onto the outside of firefighter line packs to store the tool head when another tool head is in use. 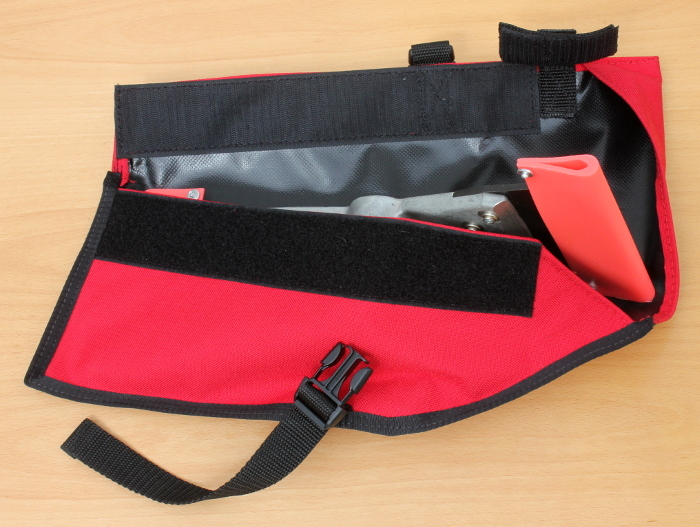 This pouch safely hold the tools during transport, yet the hook-and-loop fasteners and quick-release clip make the tool available for immediate use on a fire.